Boy... workin the polls is a pretty thankless job - but with the long waits & lines each election, that's certainly to be expected. 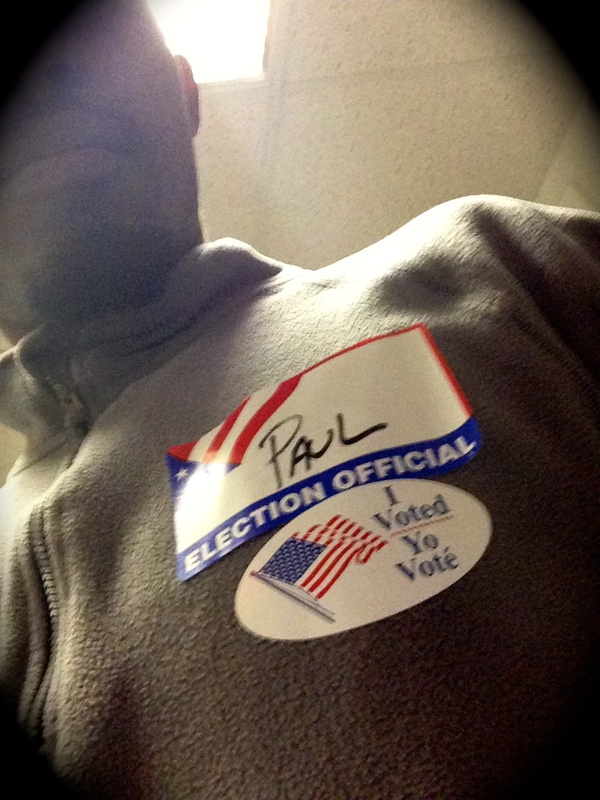 This year we had about a thousand new voters in my precinct, so that made things a bit more hectic this go-round. After being on my feet since 5:30am - I am pooped! So what's my reward? A desk full of sh!t to do just as soon as I get into the office to perform my full-time job tomorrow, lol. Ahhh well, what can ya do. Hopefully my presidential candidate wins the election! But at this point, I really don't care, lol. I'm so exhausted, I've got a good mind to lie down right now & just catch the results in the am. On the positive side, there was a steady line all day long, so it definitely seems like there was a really good turn-out. Both the am & pm rush hours were brutal, but I've never seen the line wrapped around the building like it was this am - people were really committed to getting their votes in! As you'd imagine, I heard quite a few 'interesting' political views today. The most controversial issue was easily the proposed gay marriage law here in MD. I've never heard SO many people opposed to something that affects them in no way at all. I'm really curious to see what the public decided on this one. Definitely thinkin of takin a 'Me Day' at some point next week, been dealing with alot & so have the people close to me, so it'll be nice to take a day - just to focus on MY mental therapy. It's hard when your the rock, most times you're left with nothing to lean upon yourself. But it's my own fault, so I don't complain - you see, I'm pretty good at concealing my problems. I just hate to burden others with my issues, so most assume that my life is smooth sailing, but uhhhh... lol. In the end, another day, another dollar... hopefully, I'll awake to good news :-) C'mon Obama!! !